World football governing body FIFA has agreed to Moscow’s offer to hold the draw for the 2018 World Cup Russia finals at the Kremlin in December, according to Russian Deputy Prime Minister Vitaly Mutko. 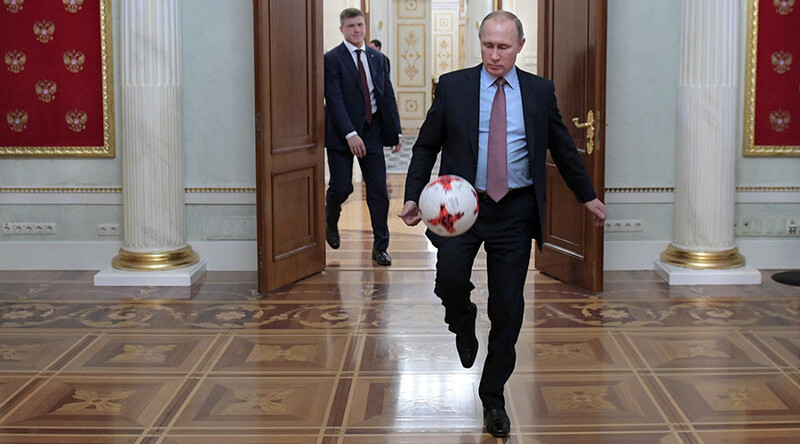 “On December 1, the final draw of the football World Cup will take place, we offered the Kremlin to host the draw, everything suited FIFA, and now we are ready for the final draw,” Mutko said, TASS reported. Mutko added that preparations for the World Cup and 2017 Confederations Cup are progressing without any significant problems. The date of the final draw is exactly one year after the first batch of tickets were released for general sale on December 1, 2016, with the deadline to buy tickets running until January 19. To attend either tournament, fans first have to register to gain a fan passport or ‘FAN ID’. The documents will provide supporters with access to the matches and for foreign fans will double as Russian entry visas. The first registration center for fan passport registration opened in St. Petersburg last month and the first passports will be delivered in February by a courier service. The Confederations Cup is one of the major events in the world football calendar. In 2017, it will be held at Krestovsky Stadium in St. Petersburg, Otkrytie Arena in Moscow, Fisht Olympic Stadium in Sochi and at Kazan Arena, and will take place from June 17 to July 2. In 2018, the FIFA World Cup will be played at 12 stadiums across 11 Russian cities, taking place from June 14 to July 15. It will be the first time either tournament has been held in Russia.